It might be the grand centerpiece of the Southbank Centre, Central London’s renowned cultural hub, and among the capital’s most famous classical music venues, but the Royal Festival Hall is also an impressive landmark in its own right. Located in a Grade-I listing building on the banks of the River Thames, the concert hall first opened its doors in 1951 during the Festival of Britain and now boasts a newly restored 2,500-seat auditorium and the lavish Clore Ballroom. 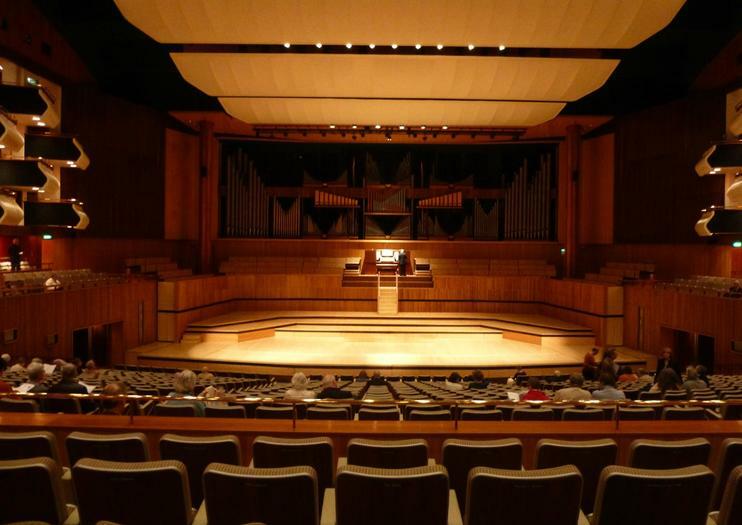 The Royal Festival Hall is best known as the home of the prestigious London Philharmonic orchestra, and the venue is used throughout the year for a host of classical music recitals, pop concerts, operas and ballets, including a number of annual music and cultural festivals. The Royal Festival Hall is located at the Southbank Centre on London’s South Bank and is open daily from 10am -11pm. There is no admission fee for entering the venue, although ticket fees apply for concerts and shows. Experience the magic of London after dark on a private 3-hour sightseeing tour custom-made for you! Drive through the illuminated city, stopping to marvel at Tower Bridge, the London Eye and Piccadilly Circus. Along the way, hop out to stroll around Trafalgar Square, soak up the electric atmosphere of the West End, Chinatown and Soho or admire the views along the River Thames. Capture the infectious energy of London’s South Bank on this 4-hour photography walking tour. Your professional photographer guide will show you how to adjust aperture, shutter speed and depth of field to snap candid portraits of the street entertainers and market vendors that line the River Thames. With tour places limited to six, you’ll enjoy one-on-one tuition to help you achieve winning shots of landmarks like the London Eye, Big Ben and St Paul's Cathedral.